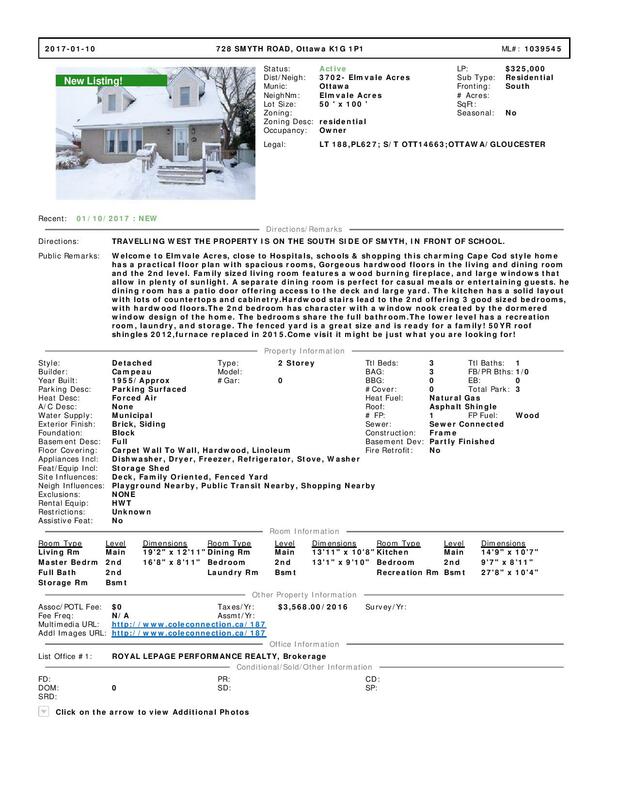 Come and see this Elmvale Acres charmer!, close to Hospitals, schools, shopping and recreation. This Cape Cod style home has a practical floor plan with spacious rooms, Beautiful original hardwood floors lovingly refinished in the living and dining room. The family sized living room features a nice wood burning fireplace, and large windows that allow in plenty of sunlight. A separate dining room is perfect for casual meals or entertaining guests.The dining room has a patio door offering access to the deck and yard.The kitchen has a solid layout with potential to create an open concept living space. Hardwood staircase leads to the 2nd level which has 3 good sized bedrooms, all with hardwood floors. The 2nd bedroom has character with a window nook created by the dormered window design of the home. The bedrooms share the full bathroom. The lower level has a recreation room, a laundry area, and storage. The fenced yard is a great size and is ready for a family! 50 year shingles in 2012 / furnace in 2015. Come and visit it might be just what you are looking for!